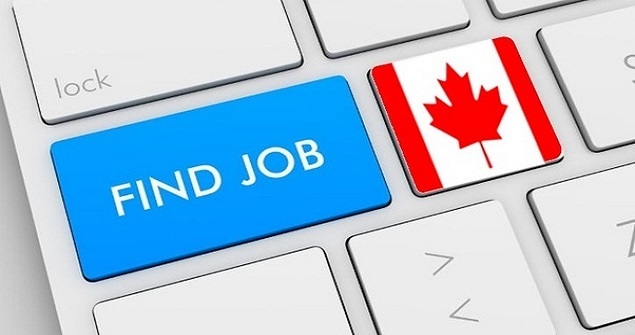 Apply Online and Get A Canada Based Job Now. Canada is now accepting online applications of people who wish to come and work here in respectable working sectors. A work permit is mandatory to achieve before anyone can start their job in Canada but there are also certain rules, regulations and requirements that must be completed in order to obtain a satisfied working visa legally. There are many employment options in Canada but good qualification and even better skills are required to obtain work visa as well as future immigration. Before you apply online, you must understand that the online application package comes with an instruction guide and an application form to be filled. The instruction guide comes with all the relevant information you will need for further processing while the form you get ill particularly be designed according to the questions that may help you out regarding the process of your application. Before you are applying for visa make sure you strictly desire a Canada work permit and are currently residing outside of the country. Remember that processing time of an application form may take a few months or years depending upon the nature of your work and your given application. You can only apply if you are not a Canadian citizen and wishes to require a working visa by the virtue of Immigration and Refugee Protection Act and the Immigration and Refugee Protection Regulations. You should apply for the visa as soon as you have received the evidence of your job offer along with other employment contracts from ESDC or LMIA. You must meet the requirements that are set by Immigration and Refugee Protection Act and the Immigration and Refugee Protection Regulations before you can apply for the work permit in Canada. As an applicant you must have to submit an assurance letter claiming that you will leave Canada once your employment has been finished, give documents regarding your money just to ensure that you can service here and take good care of yourself. Moreover, the applicant must also submit proofing letters indicating that they do not have any criminal activity and they are law-abiding. A complete certificate of medical health examination is also required by the Immigration and Refugee Protection Act and the Immigration and Refugee Protection Regulations and you must prove the authorities that you will not be of any harm to the safety of the country. Other documents may include your genuine and valid passport, your passport sized photographs, ID of the home country and marriage certificate if available. After you have completed your application form, you can submit it online and make the fees as given in the prospectus. This fee may include application processing fee, open work permit holder fee and a biometric fee. You can then checklist all the documents and sign your application and submit it for further interviewing and endowment of the desired work permit of Canada.